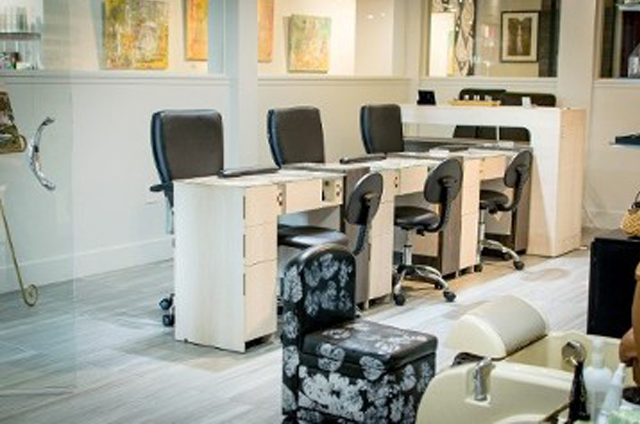 Treat yourself with relaxing manicures and pedicures from The Gallery Salon & Spa. We are proud to offer a positive clean environment where you can sit back, relax, and enjoy yourself. All listed manicure and pedicure times are approximate but can be modified to fit your schedule. ** We are now offering Dipping Powder Manicures! Please scroll to the bottom to see pricing..
You'll be in and out and looking fabulous with our Express package. Your service starts with shaping your nails, followed by a complete buffing and cuticle treatment. Your nails are completed with the color of your choice. This mani/pedi package costs are listed below. 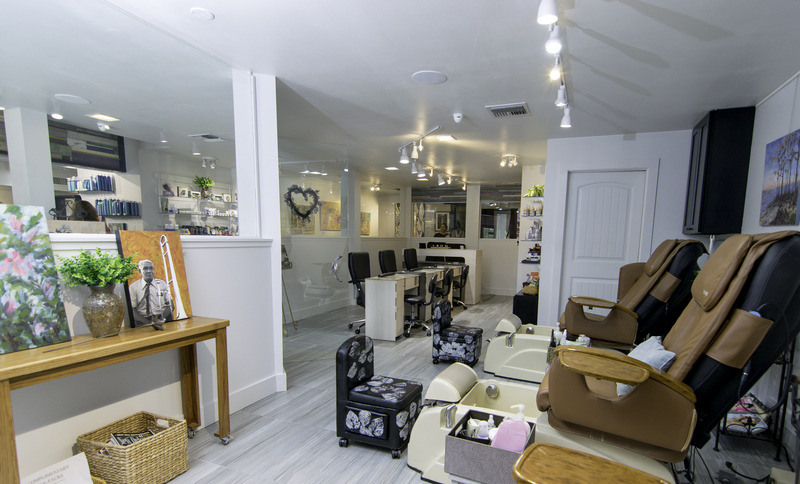 This nail care treatment includes nail shaping, a hand and foot soak, a revitalizing cuticle treatment, gentle exfoliation of your hands and feet with a citrus sugar scrub, and a moisturizing hand and foot massage. Your nails are painted in the color of your choice. This is perfect for callused feet that are in need of a little TLC. The meticulous callus conditioning treatment incorporates our classic pedicure, and will gently soften and dissolve those problematic areas without using harsh implements. **We are now offering Dipping Powder Manicures!